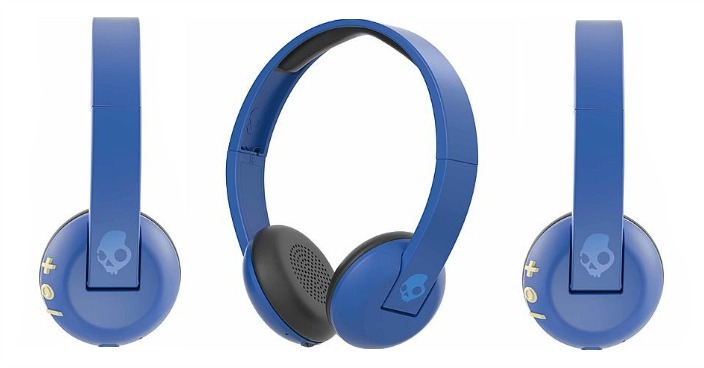 Skullcandy Uproar Wireless Bluetooth Headphones Only $9.99! Down From $50! You are here: Home / Great Deals / Christmas Deals / Skullcandy Uproar Wireless Bluetooth Headphones Only $9.99! Down From $50! Kmart has these Skullcandy Uproar Wireless Bluetooth Headphones on sale for $9.99 (Reg. $50)! Plus you can get FREE in-store pickup only! Whether you’re walking down the street or gaming on the couch, the Bluetooth functionality of the Uproar Wireless Bluetooth Headphones make it possible to take your audio wherever you go. Enjoy the comfort and sound of your headphones for a full 10 hours, without having to worry about recharging. Carefree listening is yours wherever you choose to take your soundtrack. Take calls and navigate your playlists with the built in microphone and easy-to-access buttons on the ear cup. Final: $9.99 PLUS FREE in-store pickup oonly!